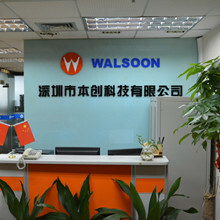 Walsoon have been established in Jan. 2007 in HK. After seven years development, we have two offices in Shenzhen of China and one office in HK now. There’re about 30 staff worked in our main office of Shenzhen. Our electronic components are mainly exported to Southeast Asia, USA and EU through HK. We have indirectly supplying the components to South Korea Samsung, India LG and EU factories.Our advantage products: Automative, MID, Mobile, Lights, Security Products, etc. 10. AVX, Murata, Kemet, Yageo, Walsin, TDK, Vishay, Epcos, Samsung, etc. Here we can strong at supplying your whole BOM list parts source service, provide you one stop service to save your time and energy! 1. Choose the reliable and stronger suppliers is the most important. Walsoon get the support from original factories and authorized distributors, such as Microchip, Freescale, NXP, Infineon, MBI, PIR and so on. 2. Walsoon work with our old suppliers long terms cooperation, here there are more than 300 companies who only sell stock for the 100% original parts. 3. We have a professional purchasing team to do QC. Every parts must be passed QC from Walsoon. Hope we also can work for you more and more. I’m glad to serve for you !